A Romantic holiday cottage retreat offering the perfect break in Arundel! This has to be in one of the prettiest settings within Arundel. 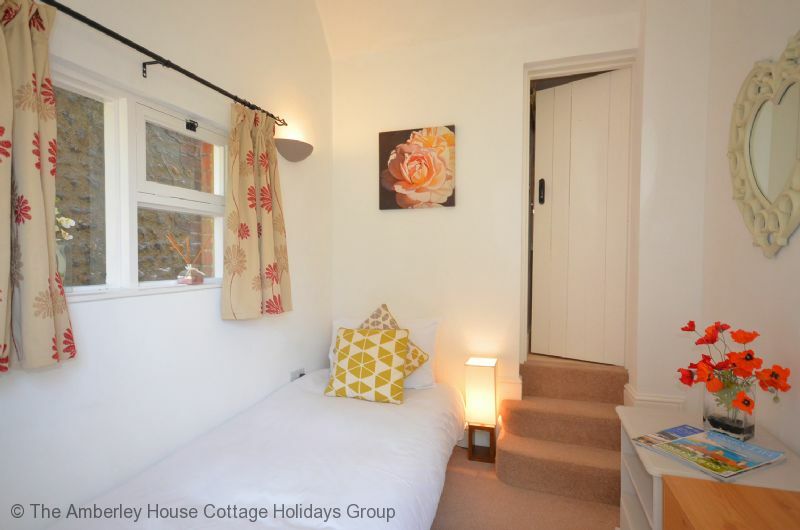 Set at the top of the town this charming little cottage has been completely refurbished in 2011 to offer really comfortable accommodation for two people looking for a relaxing and romantic break away. To the front it sits above a sloping grass bank with the road below. Stand outside and there are views to the coast. The cottages here are closely linked with the development of the cathedral and the castle both of which are just moments away. 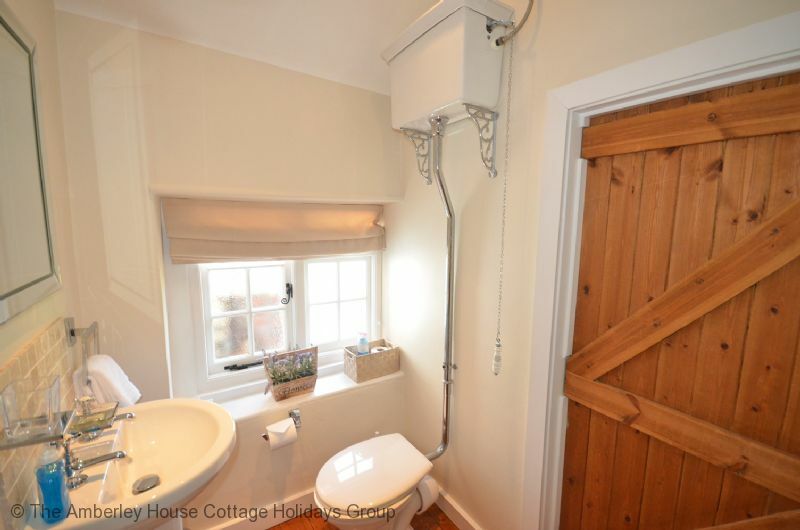 Rose Cottage is beautifully presented retaining many of its original features. The living room is a clever modern space focused around its wood burning stove. 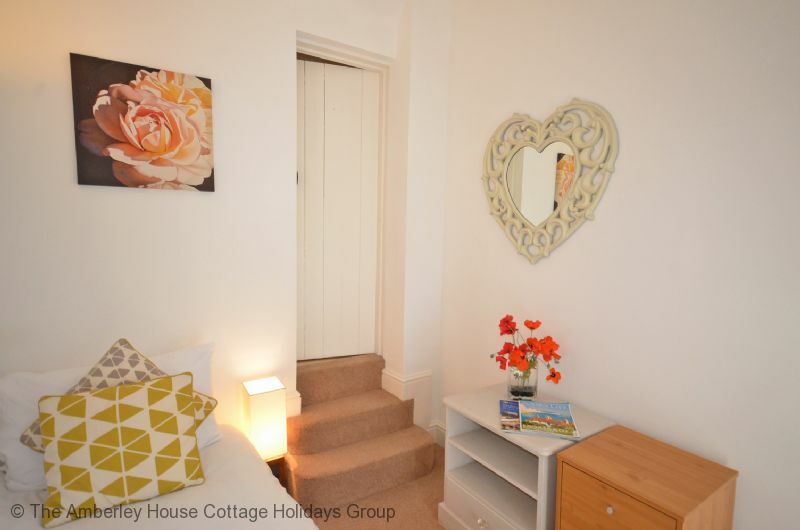 The cottage also has the benefit of a second living room or day room which is external, something quite unusual but a feature of a number of the cottages in this part of the town. This room is provided with a fold out chair bed suitable for one person to use. Attached to it is a small cloakroom. 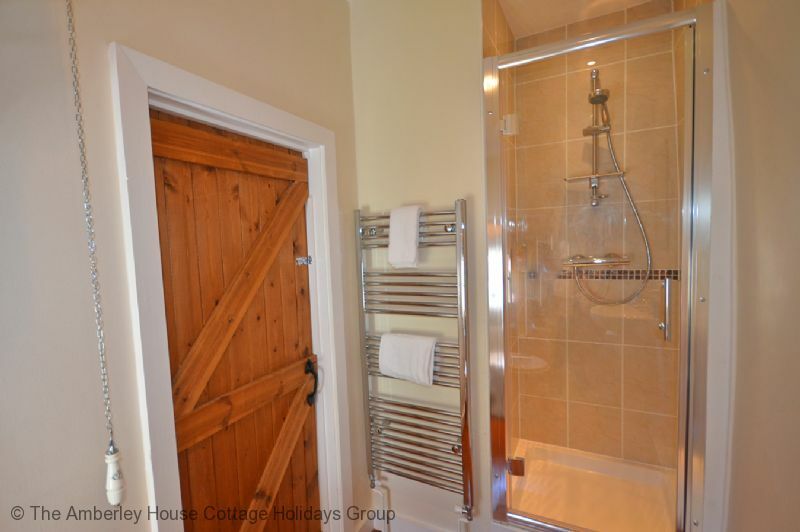 The cottage is perfect for a couple with a double bed upstairs along with a beautifully refurbished shower room. Cottages of this period are a little tight in places, so just be aware that it is not best suited to anyone unduly tall or uncomfortable with stairs. Arundel is a market town that is dominated by the symbolic castle and the rising spire of the cathedral. It offers a plethora of craft and antique shops as well as restaurants and tearooms. It’s a great place to wander and just enjoy great hospitality. Beyond the castle grounds Arundel Park extends north towards the Downs offering many fine walks. 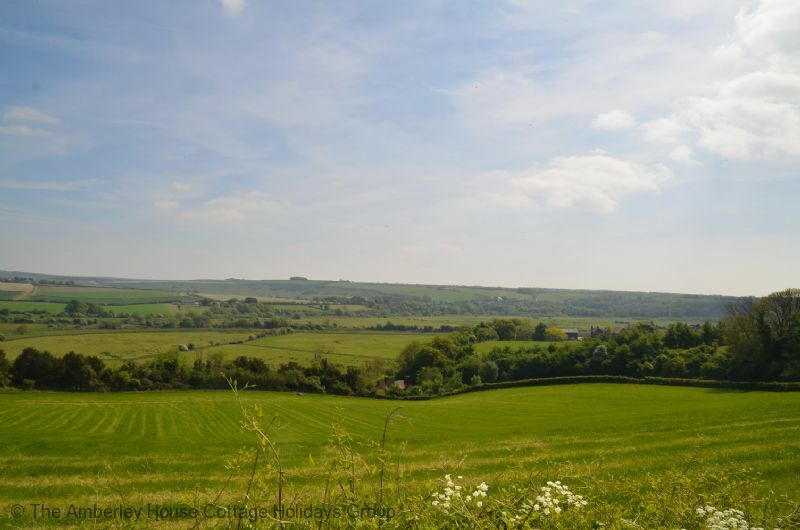 A two mile walk to the top affords fantastic downland views and south to the coast. The River Arun winds its way around the town and is a magnet for wildlife. With more than 60 acres of ponds, lakes and reed beds, Arundel Wetland Trust attracts some of the worlds most spectacular ducks, geese and swans. 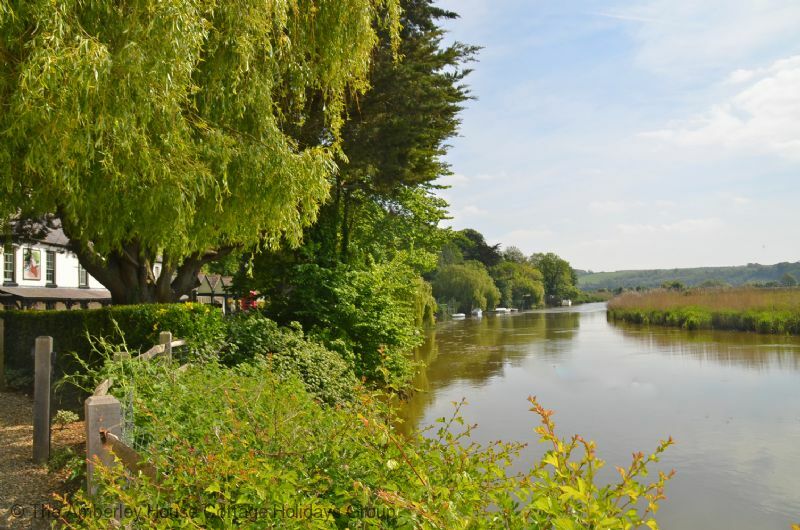 The best way to enjoy the river is on a river cruise stopping off at the Black Rabbit pub or proceeding further north where the river hugs the scarp wooded slope at the foot of the Downs before reaching Amberley. Further afield Arundel is well placed for the coast. Climping Beach and Littlehampton’s West Beach are only a short drive away. This is a beautiful unspoilt length of beach of Special Scientific Interest and at the eastern end beside the mouth of the River Arun is the West Beach Café built by local craftsmen using materials sourced locally. It is worth a visit, the fish and chips come highly recommended! If you fancy a day trip to the city, Arundel mainline station is on a direct route to London so why not mix the cosmopolitan capital with this beautiful part of Sussex? Rose Cottage - 46771 Rose Cottage. 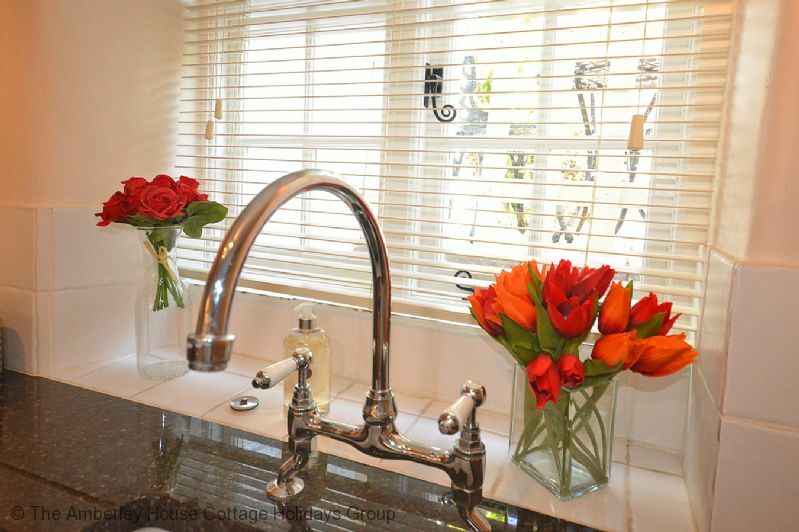 A romantic Arundel town holiday cottage, West Sussex. Close to Arundel Cathedral and Arundel Castle. River Arun boat cruises. Walks in Arundel Park. "A lovely cottage, everything we needed and very organised inside. The studio room was great,esp with its en suite toilet room, and very warm. Location in heart of arundel was fantastic, lovely garden patio. We had a cosy log fire easy to light. Would definitely recommend. I will be going back. " "This is our third stay as it is close to where we live but we could be hundreds of miles away. Nice seated area outside at the back for sunny days but also lovely log burner for cold evenings. Bed comfortable and everywhere sparkling clean. A new sofa has appeared this year but I found that it wasn't very 'cosy' however that is my only negative point. 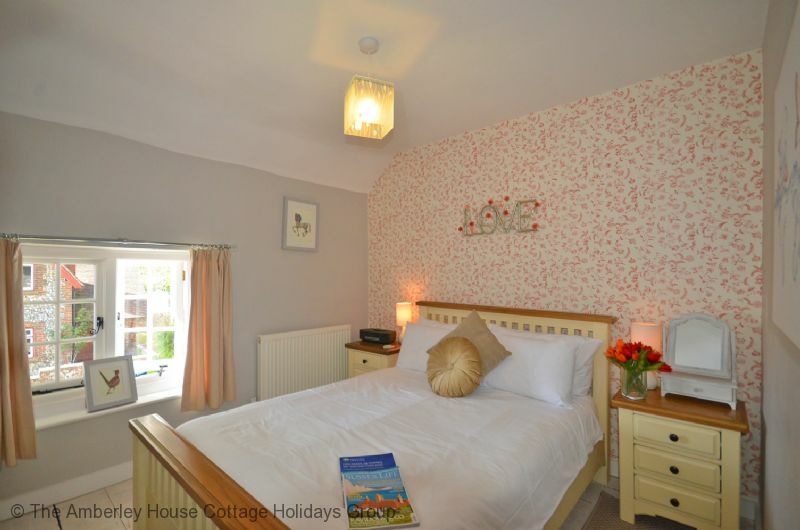 Would certainly book again (we go to several cottages throughout the year but this is the only one we return to) "
"Fabulous little cottage in an ideal location for exploring the local area. Rose cottage was kept very clean and in good condition. The only tiny little downside was that it is only a small place and so storage in the kitchen and the bedroom is limited, this in no way spoilt anything though as it is a lovely cosy little place and we loved it and would recommend it. " "Location was great and the cottage was well equipped generally but the bed was soooo uncomfortable! A new mattress is needed. You cannot solve this by putting a horrible memory foam topper on it and please lose the rubberised mattress protector!!!!" Thank you Amberley House Cottage Holidays! "With a family wedding on the horizon, why drive across south east England to Arundel Cathedral just for a quick stop. 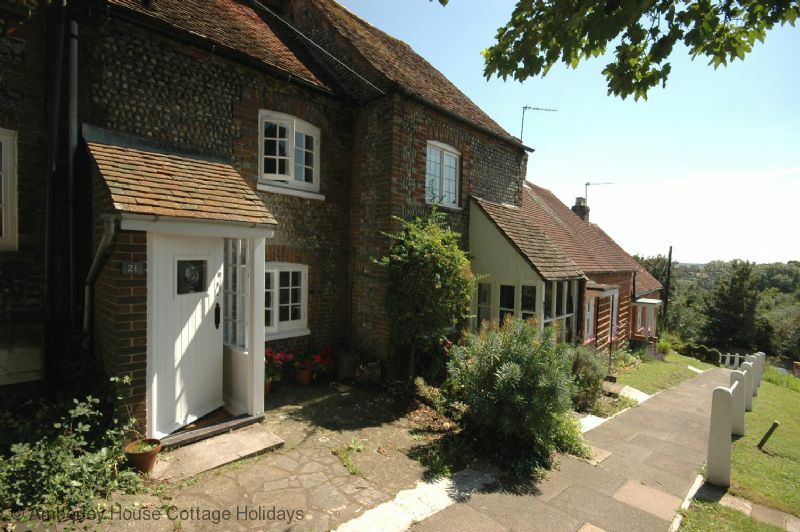 Why not trawl the cottages in the town via Amberley House Cottage Holidays? 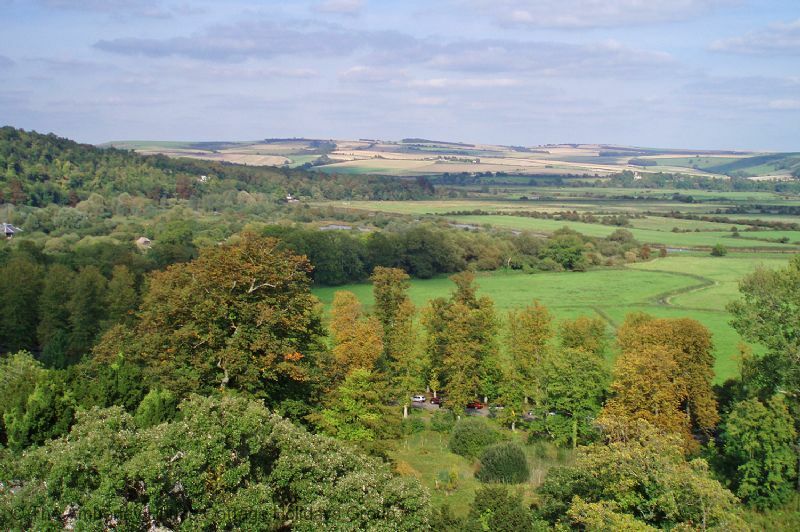 Having already had good service from the company for previous South Downs holidays, I booked a super home for a five-day stay and by luck it was a two-minute stroll to the cathedral. Perfect! Comfy super clean cottage, sun shine in the garden and perfect for visits to Parham House, a South Downs walk and six hours strolling around Arundel Castle. The wedding was brilliant too!" "Pretty little cottage in a lovely little town. Within walking distance to the Castle so able to avoid parking fees! The cottage itself was good for me as I was having a solo break. Space wasn't issue although if there was more than 2 guests, they might struggle as it is a very small cottage. The stairs/steps are small and you have to walk sideways down them as they aren't very wide. I had a bit of an issue getting my large suitcase up them but I saw that as a part of the quirkiness. The cottage was warm and comfortable and had all the things you would need for a stay. I loved sitting outside the back of the cottage and having the annex is a great idea. However, a couple of niggles - one being the smell of dog. It was noticeable for me every time I sat on the sofa and did put me off a bit. But, this was only on/by the sofa and nowhere else. It would also be massively helpful if guests could be left some milk (at least) for their stay. I had to go back out when I arrived to find a shop and then lost my parking space. If you get back later than half 4....there isn't anywhere to park in the road outside the cottage. I didn't have a problem as I was back before this time most days but others might. Also please get rid of the sponge pillows! I loved the bedroom but these gave me neck ache by day 2. However, I would definitely stay again now I know the area a bit better. Tip - if you buy the gold plus ticket for the castle, they give you a '4.50 voucher to spend in the shop and cafe. " Rose Cottage, a home from home. 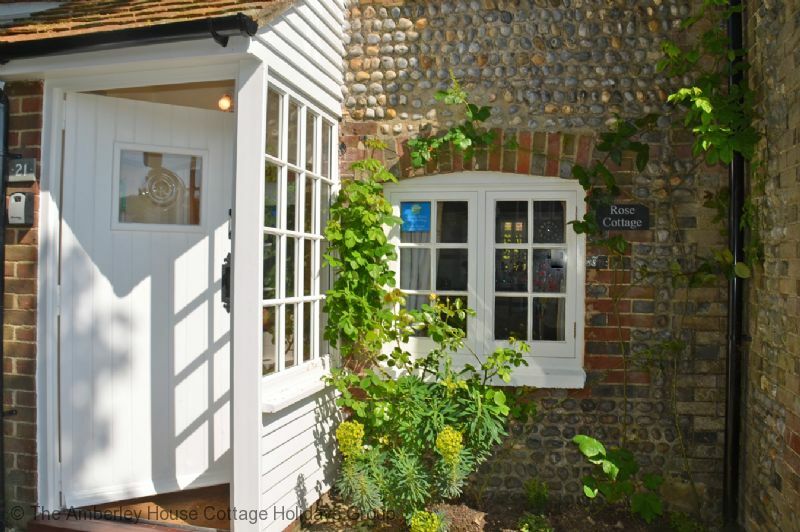 "Rose Cottage is a gorgeous small cottage in Arundel. Good location for visiting the attractions in Arundel with easy access to main roads for going to Chichester and the coast at Selsey. Arundel has lovely restaurants which we enjoyed visiting, especially China Palace and Osteria, whilst the cottage contained everything we needed to cook with. It was a welcome home from home whilst officiating at the Goodwood Revival race meeting. It was our second visit to this cottage and we hope to return again next year." 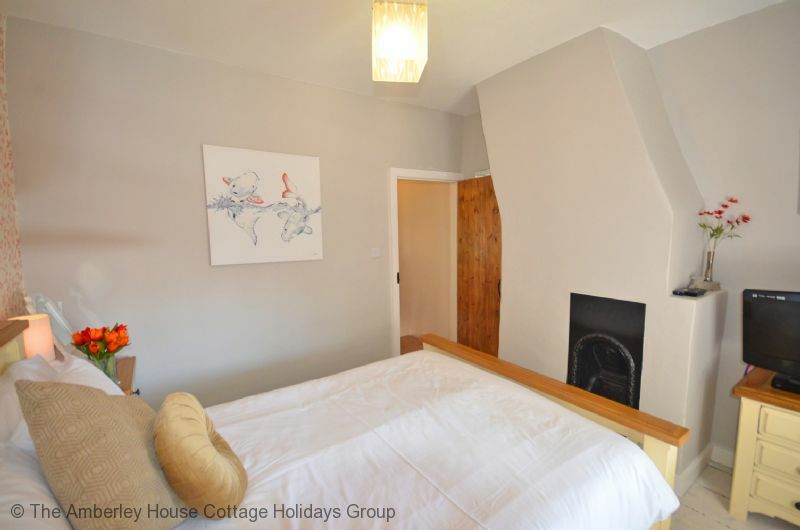 "Cosy cottage, very comfortable and well furnished. The 'out building' was very useful. Great location - only a walk up the hill to the park and a walk down into town. So nice not to have to get into the car (apart from getting to the beach). 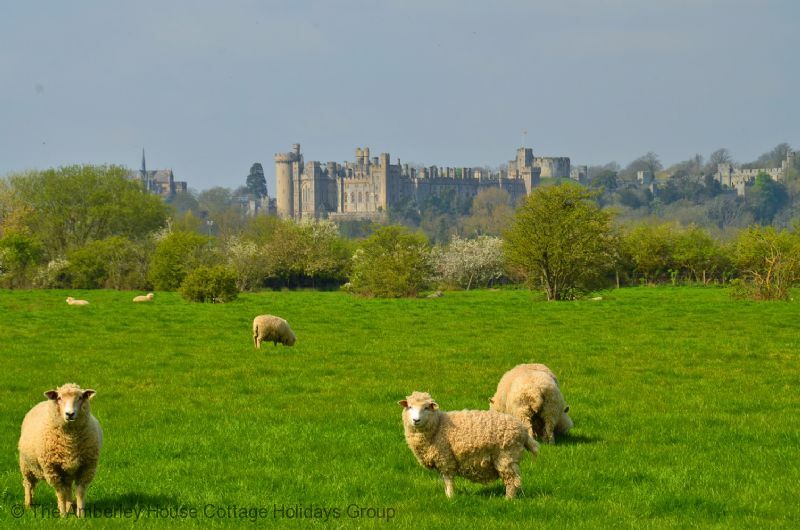 Arundel is a great place to holiday." "- Rather small but very cosy cottage but we were aware about the size already when we were booking (taller people have to mind their head though due to the low ceilings ;-) - clean and tidy - Arundel itself is a nice small town with a large castle and beautiful landscape, good as a homebase for exploring the southeast of England, the sea, Brighton and London are all good destinations for trips - we were very happy to find out that the cottage actually has free Wifi although it wasn't advertised online - nice customer support, free cleaning on midstay"
"This is the second time that we have stayed at Rose Cottage and we enjoyed it more than the first We had the hottest April and so were able to sit in the garden. Then towards the end of the week we had heavy April showers and the temperature dropped so were able to enjoy the wood burning stove. We had the best of both worlds. 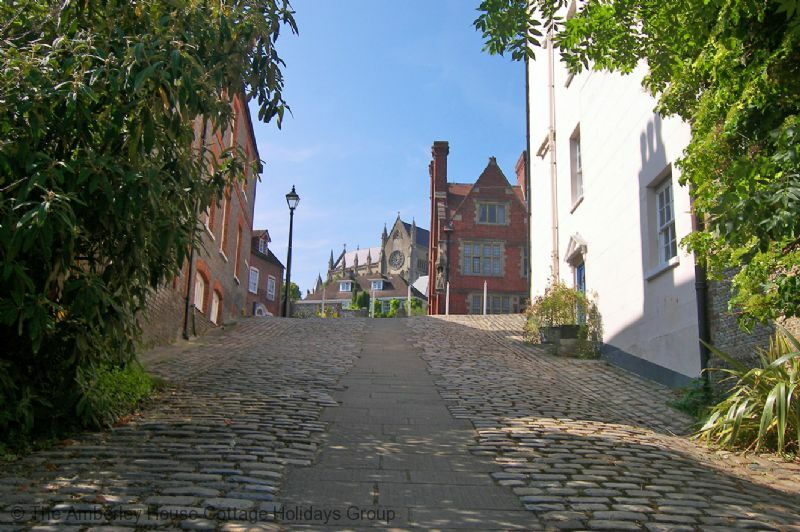 Arundel is a short walk away (some steep streets to climb but good exercise!) and has plenty of good pubs and coffee shops as well as book and antique shops. The cottage is small but ideal for two or three people. We will certainly return for the total tranquillity of it." "Near the Cathedral and wonderful parkland 2 minutes walk away this was ideal for us and our dogs. 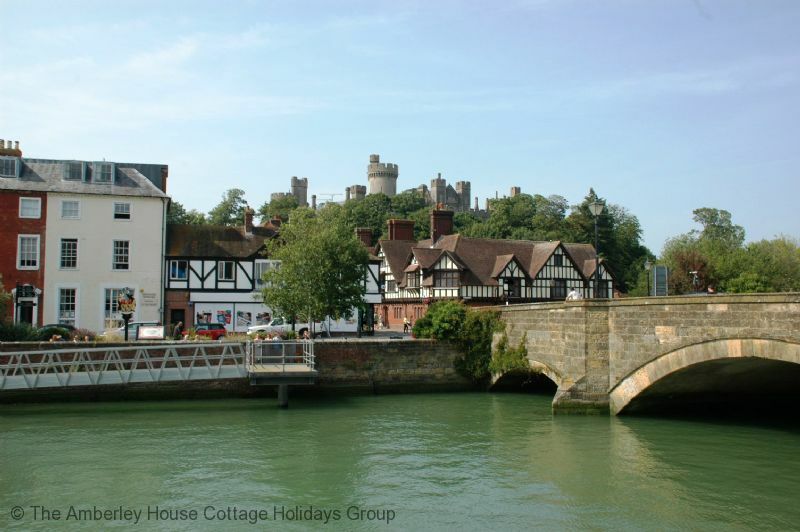 Loads to do and see in beautiful Arundel"
"Our stay at Rose Cottage was very enjoyable. Good location although it was difficult finding suitable parking near the property. The facilities provided were of a very high standard and the log fire was a delight. We hope to return for a longer stay in the new year.Highly recommended. " Ideal for two and very handy for enjoying Arundel. "A lovely little cottage ideal for two. The stairs need care especially going down. Otherwise can highly recommend for a stay in Arundel. " 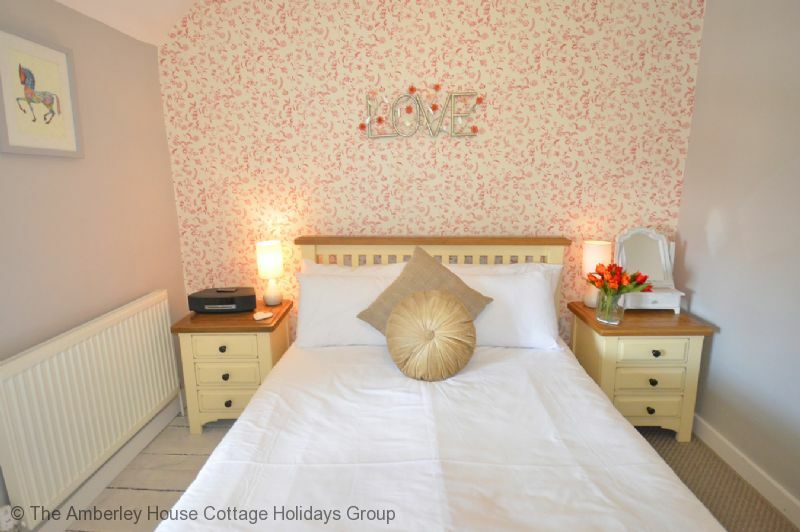 "We had a lovely peaceful stay at Rose Cottage. Cottage small but perfect with a well stocked kitchen and an inviting wood burning stove. Great walks and scenery and handy local shops including a butchers, a deli and plenty of tea rooms and pubs to choose from. Unfortunately the castle wasn't open (we went for my birthday in November) but not to worry as we have rebooked Rose Cottage next year when the Castle will be open and we are looking forward to another week of relaxation." "A lovely quaint cottage. It is small but perfect for 2. Ideally positioned for walks and town centre"
"A lovely cottage in a great location, although car parking was a bit of a problem at times. We stayed here primarily to attend the Goodwood Revival but also had a few days holiday and found it much more cost-effective than staying in a local hotel or one of the national chains of hotels. Rose Cottage made a great base for exploring the West Sussex area with easy access to the A27 and down to the coast, with some lovely local walks. Inexpensive local tea-rooms and restaurants to eat out in but also had everything we needed in the cottage to cook our own meals and relax in front of the wood-burner. Hopefully we will return." "Nice cottage and great surroundings, however the stairs are very very steep and headroom was a real problem, particularly when descending. Also there was very little storage, for hanging clothes there was only one small landing cupboard from which we had to remove the hoover and bucket in order to get our clothe in it, and three very small sets of drawers (bedside cabinet size) which you could get hardly anything in." "The cottage was lovely but the stairs are very steep a little bit scary no coffee/table in front room we also didn't realise Arundel was so hilly! 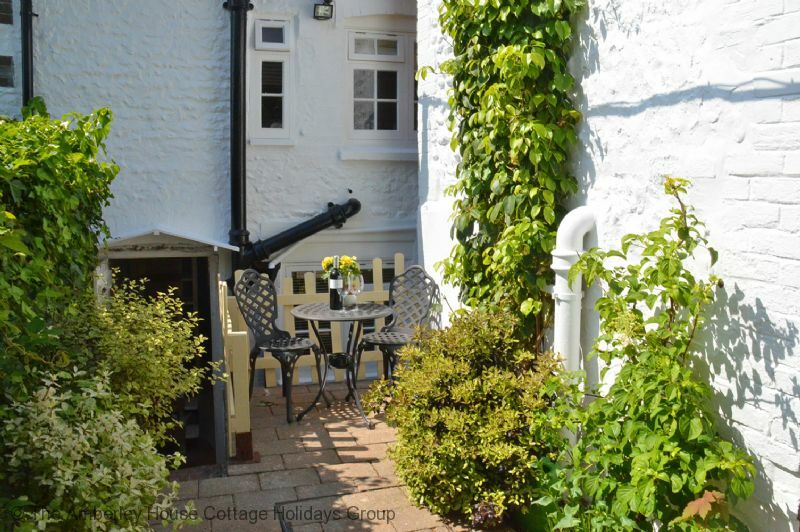 !but still a great stay "
"Cottage in ideal location. Quiet and relaxing. Perfect cottage for 2. Stairs were steep and shower cubicle a little small but did not impact on the enjoyment of the holiday "
"A very enjoyable stay in this cottage. It is well positioned for the town. The stairs took a bit of getting used to and definitely not good for someone who is tall. The parking was slightly difficult at times and took some skill to get into the small spaces that were available. That said this cottage is charming & was worth the hassle." "Excellent cottage for a couple. Facilities in the cottage were perfect and location brilliant for all of the many local attractions. Only down side were the stairs. .. not recommended for use by anyone tall. With no hand rail it didnt feel very safe. This is onky a minor point in an otherwise fabulous cottage." 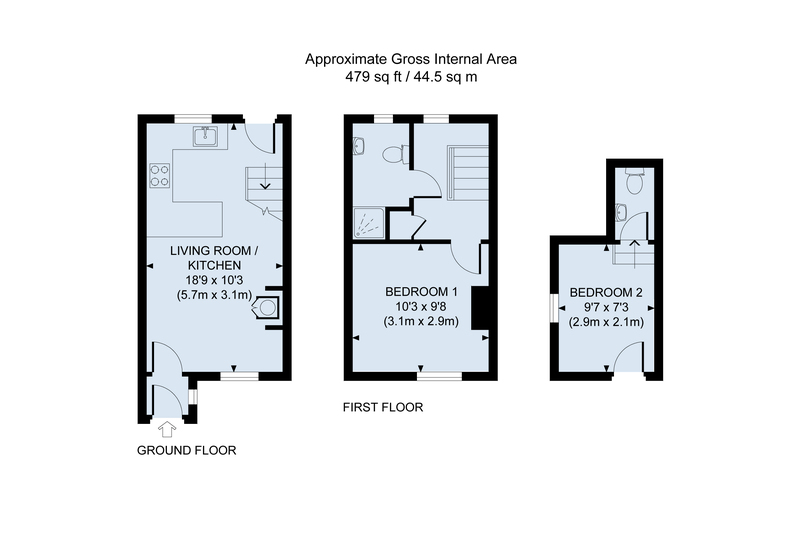 "A well planned and highly equipped cottage with a tiny outside space. The Housekeeper (Christoher Hill) very quickly sorted out a couple of glitches and made us feel welcome. Location suited us very well for quick access to the Downs and to the Arundel Wetlands Centre, great features of our stay." "We enjoyed our stay in the cottage. 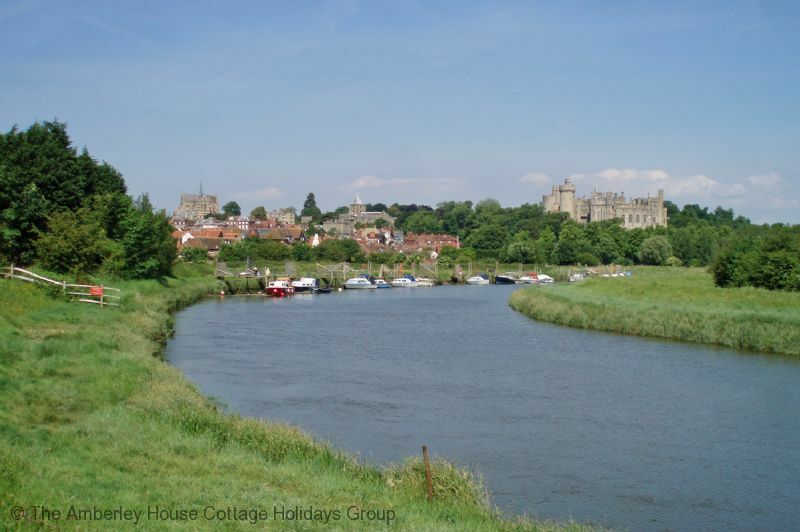 Its in a lovely location to explore Arundel and the surrounding area. Would recommend a trip to Portsmouth Historic Dockyard which includes the Mary Rose exhibition which was excellent. What we would say is that parking could be a problem at busy times of the year as it hasn't got its own parking space. Parking is in the road adjacent to the cottage. Also the plug in the bathroom basin doesn't keep water in the sink so that is something that should be fixed. Having said that we would definitely stay here again. " "Stayed in Arundle simply because I used to drive past it on business years ago and thought it looked nice - what an understatement. Absolutely fabulous historic town (you MUST take the historic walking tour) and Rose Cottage is the perfect base. Stunningly restored and equipped cottage which is totally perfect for a couple to stay in the heart of town. Hard to know what to stay other than we always stay self catering and have done so all over the UK and abroad and Rose Cottage is up there with our favorites. We will be booking again at some point in the future." Second time in Rose Cottage. "We love the cottage, its surroundings and the village. Still not done hiking and walking the dog in the neighborhood." "Lovely town, Arundel. Cottage was quite nice, it is small, as advertised. It would get an Excellent if the mattress had been better. We picked up extra blankets from the "Annex" and lay them on the mattress to disguise the springs. Yes I did hit my head on the stairs, going up not down. Maybe they need a sign each way. Value for money would have been very good if we didn't have to deal with Goodwood Pricing, which is a problem throughout the area. FWIW we have decided that Goodwood Revival has become a bit of a circus and the motor racing isn't worth the cost and crowds any more. " "Absolutely charming and well equipped property. Brilliant location in Arundel. Very good bathroom and shower facilities with great water pressure. Very glad that the property is dog friendly. Feedback for improvements: The cost to change the booking was, in my experience, quite high. Also it would have been nice to have at least one spare towel provided. Parking can be a problem, which could have been highlighted better in the description." "i stayed at Rose Cottage for a little over a week while I had some building work done on my house. It is quaint and nicely restored in keeping with the town. I had a couple of issues early on but these were corrected immediately by Christopher so no problem there. As some previous reviewers have mentioned, the staircase is tricky, especially if you are taller. The kitchen is well stocked and the log burner is a delight. For Arundel the huge bonus was being able to park outside and it's only a short walk into town for shopping, sightseeing or meals out." 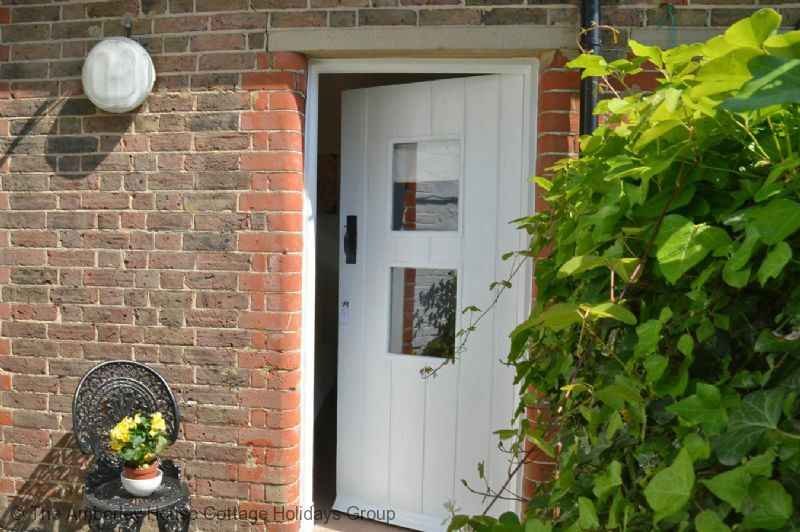 "We found Rose Cottage to be a cozy, comfortable wee cottage in the heart of Arundel. We stayed for a long weekend in November. It was the perfect size for my husband and I and our small dog. The stairs are not the easiest if you have any mobility/balance issues. Local events notated on the calendar was a nice touch and the Cottage itself is well presented and kitchen well equipped. " 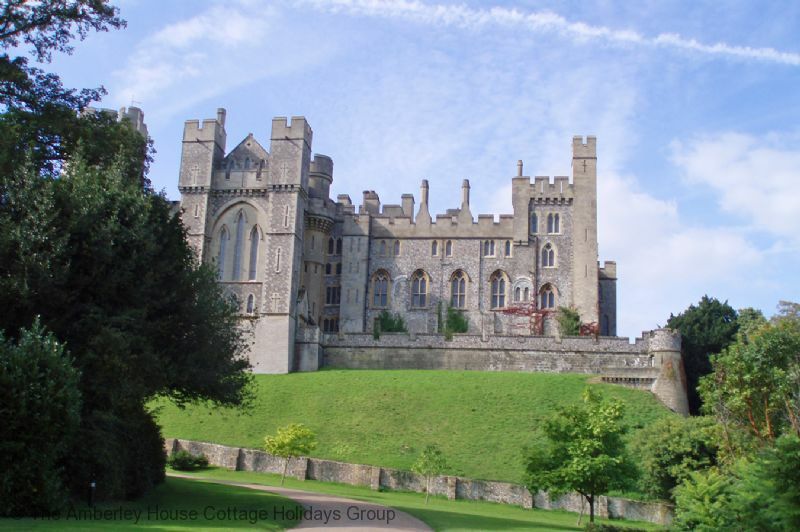 "We had a fantastic 4 nights in Arundel. 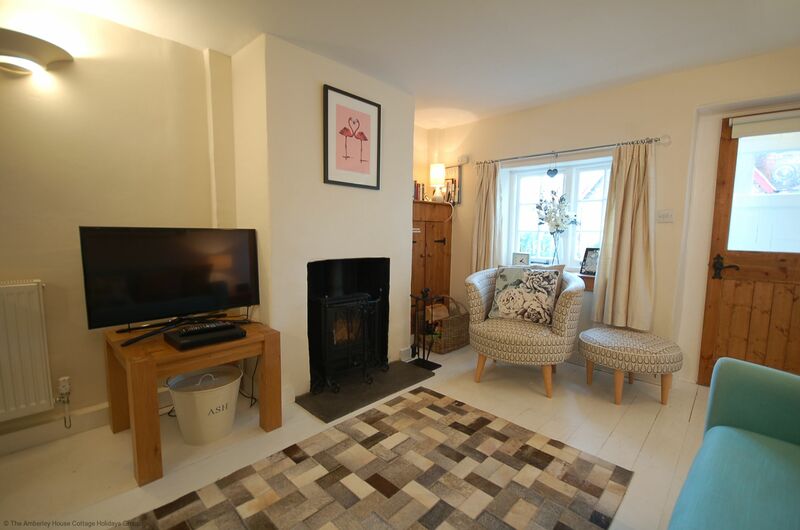 Rose cottage was in an ideal location, clean and cosy and had everything we needed. " 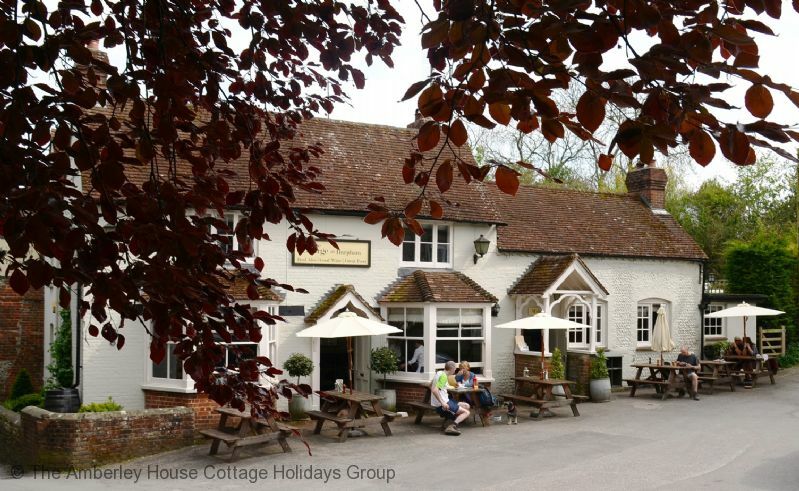 Lovely long weekend accommodation with a friendly pub very close by. Would recommend. "A most accomodation with all the necessary comforts for a short stay. A very welcoming feel. Would recommend "
"Lovely cottage but the heating did not work on our second day so we did not have any warm water or heating. We phoned the caretaker and he came and topped op the Central heating so that we could have a shower. The heating could not be repaired during our stay and the caretaker offered us another cottage 50 yards away from Rose cottage, and we moved into Daisy cottage in the afternoon. There was also a problem with the heating at Daisy cottage, the thermostat didn't work and luckily there was an override switch that we used. A few days later there was a new thermostat installed and the problem was resolved. A tip for the owners, do more maintenance to ensure that the heating is working and do something about the draft from the back door. We enjoyed our stay in Arundel and Daisy cottage, the cottage was fully equipped, had everything we needed and was very comfortable, we had a great time in and around Arundel. 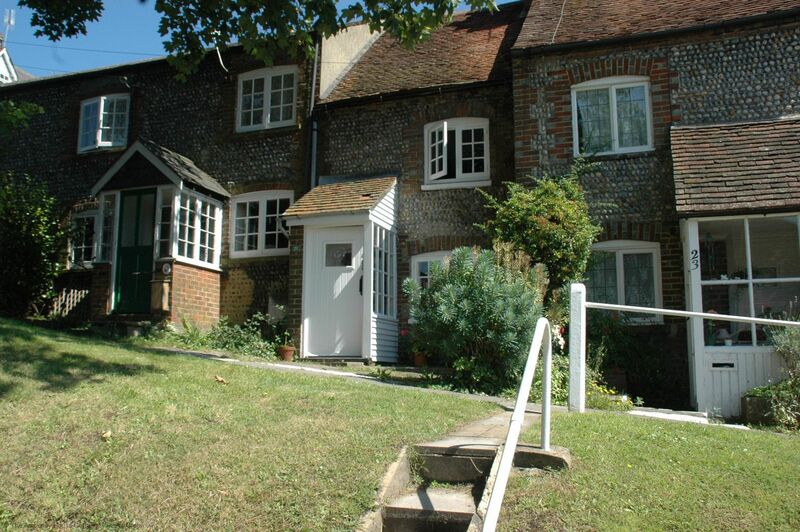 Overall a lovely property and destination, a Perfect base for exploring Sussex and the south coast. " "Nice cottage located on the edge of Arundel and within walking distance of both the town and superb countryside walks. We stayed for 3 nights in early October and would thoroughly recommend both cottage and location. Very relaxing!" Great location, clean, well stocked and cosy for 2, possibly 3 people. 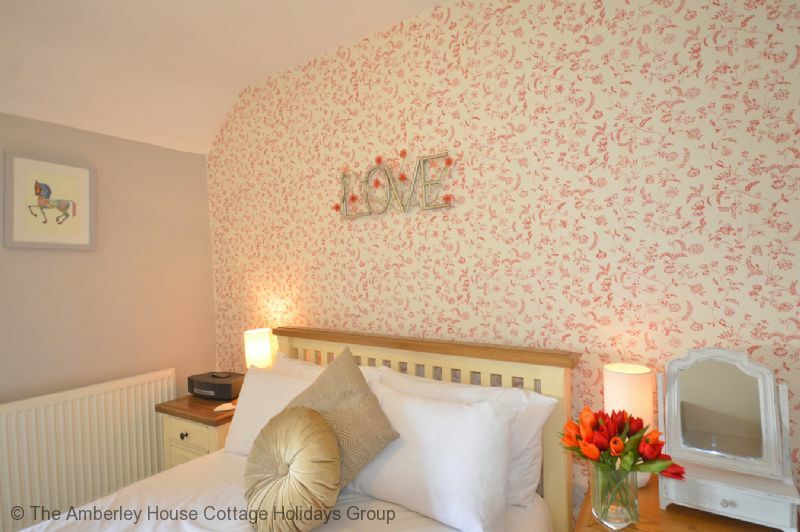 "We had a wonderful stay at Rose Cottage. Christopher was very prompt to respond with a few questions and issues we were having which were resolved. The cottage was warm and cosy, quite small but fine for 2 people. The 2nd bedroom is not attached to the property but only on the other side of the courtyard. 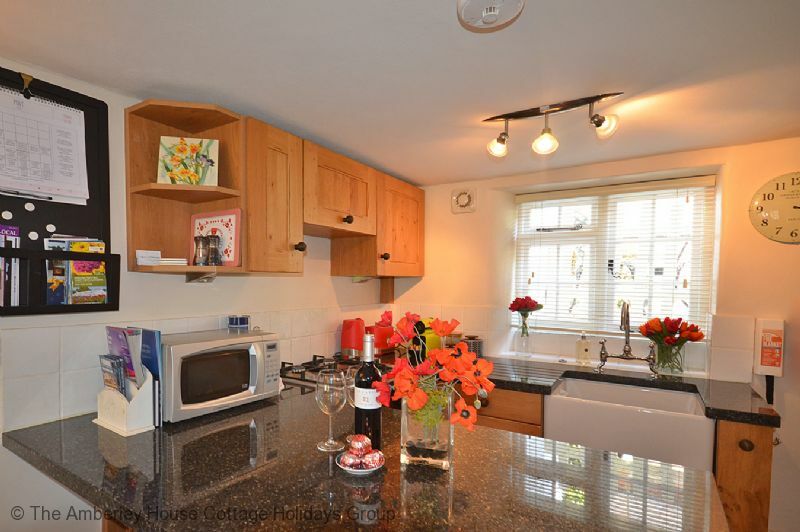 Its a very quiet location but still only 5-10min walk to the centre of Arundel. The cottage was clean, had a well-stocked kitchen, good internet and netflix for rainy nights. The main bedroom was comfortable and with a nice sized fairly modern bathroom. The stairs are quite steep and narrow so you need to concentrate! If you have a car there is free on street parking nearby if not out the front.We would stay again and enjoyed our time very much." "A very cosy cottage with all amenities on hand. Excellent shower room and comfortable bedroom. 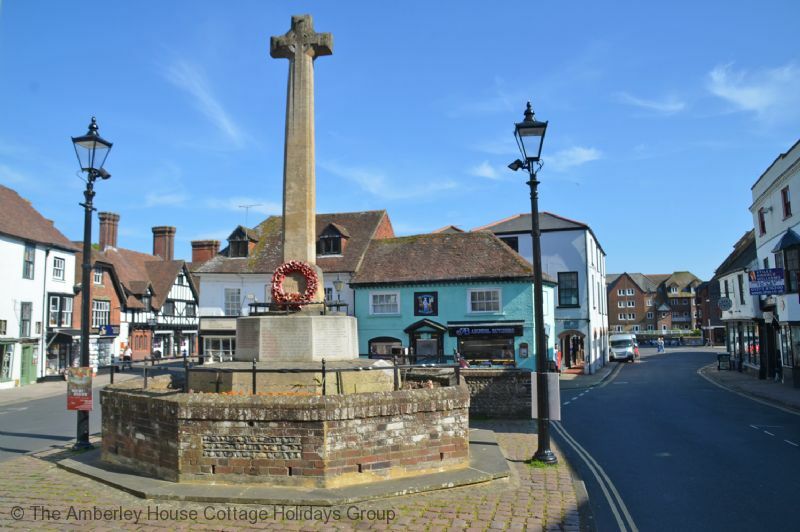 The location is perfect for Arundel and you can walk to all restaurants and Pubs. Very close to the castle and gardens. An excellent break for the two of us and our two small dogs." "We have to adapt to the size, but a small cottage isn't a problem. Parking has always been available reasonably close by. The facilities and equipment are good quality and we have always had a comfortable stay."